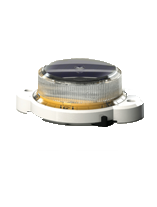 Eliminate “low spots” of light intensity and increase visibility with Essi’s marine lanterns. Fit for marking artificial island and fixed structures, offshore oil and gas structures, drilling rigs, barges, buoys, channels, bridges and docks and suited for both Class A and B applications, our lanterns deliver brightness and intensity of up to ten nautical miles in range. 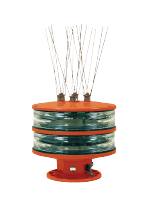 APPLICATION | Fit for marking artificial island and fixed structures, offshore oil and gas structures, drilling rigs, barges, buoys, channels, bridges and docks and suited for both Class A and B applications, our marine lanterns deliver brightness and intensity of up to ten nautical miles in range. DESIGN | Essi Corp knows each unique application requires custom solutions. 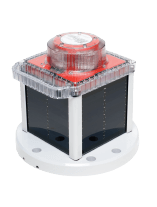 By offering a range of marine lanterns that are USCG and IALA compliant as well as ATEX certified for potentially explosive environments, we are able to tailor solutions based on size, light color, conditions and location. Lights range from the smallest on the market to the most durable of designs for extreme offshore conditions, our marine lanterns have endured the test of time with thousands of installations worldwide. 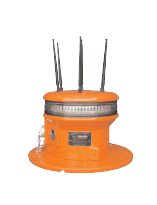 The BrightStar LED Marine Lantern is a versatile lantern suited for United States Coast Guard (USCG) approved Class A (5nm) and Class B (3 nm) visibility range with a simple programmer adjustment of the light intensity measured in candela. The BrightStar (10nm) Marine Lantern is a high intensity LED lantern, characterized with higher performance compared to any other LED and incandescent lanterns on the market. 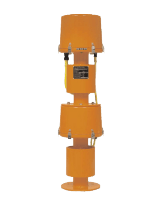 It has a high luminous intensity and is mechanically robust, making it the ideal lantern for all difficult sites exposed to weather, wind and vibrations. 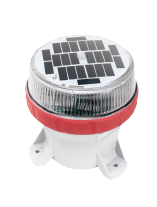 The compact and versatile M550 is up to 15 times brighter than its popular M502 predecessor and is available in two easy-mount designs for quick installation at ports, marinas, private docks and more. The unit operates on three easily-replaceable, high-performance AA batteries. Product life expectancy is over fifteen years with three-year warranty. The M650 offers up to 60 cd IALA peak intensity within a compact, lightweight yet durable design. With intelligent energy management systems and an intuitive on-board user interface, the M650H provides a practical solution for marinas, docks, barges, bridges, and more. 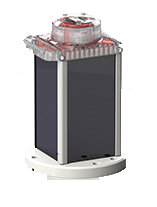 This high-effciency, compact lantern is suitable for use in most solar locations. The M850 is over 30% more effcient than previous generation lanterns and is capable of an average 3 to 6 NM range with the ability to reach over 7 NM. 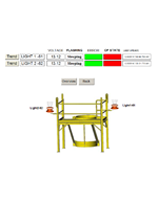 Multiple battery pack options (60 or 96 Wh) provide customers the ability to cost-optimize their purchase by selecting the best solution for their installation location. The new M860 LED Marine Lantern is a premium, full-featured lantern suitable for achieving longer ranges in challenging insolation locations. The lantern includes options for GPS synchronization and more. The M860 can achieve up to 475 peak candela (white). Average range is 3 to 6 NM with the ability to reach up to 10 NM. 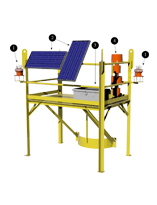 The Class A Single Lift Aluminum Skid is a heavy duty self-contained aids to navigation package powered by batteries and recharged by solar panels. The skid is designed for small fixed structures where deck space is critical and meets the audible and visual requirements of the Class A zone as defined by the United States Coast Guard 8th District Gulf Of Mexico (GOM). The Essi Model Galvanic Rechargeable Energy Cells are sized for thirty (30) day autonomy as required by the USCG 8th District for unmanned structures. 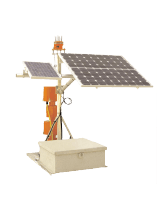 The Essi Model Radiance Solar Energy Generators are sized with consideration given to solar data from the Gulf of Mexico area. 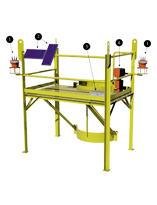 Similar to the Class A Single Lift Aluminum Skid, this Class B self-contained skid is factory assembled with six (6) major components suited for Class B applications. 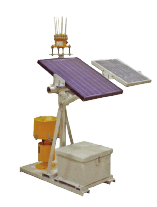 The skid is designed for small fixed structures where deck space is critical and meets the audible and visual requirements of the Class B zone as defined by the United States Coast Guard 8th District Gulf Of Mexico (GOM). 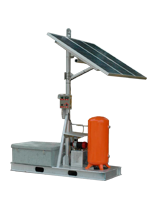 The Class A Single Lift Aluminum Skid is a heavy duty self-contained aids to navigation package powered States Coast Guard 8th District Gulf Of Mexico (GOM). Through alerts sent via email, text or voice, our customers are immediately aware of any device outage, low voltage, fault, malfunction or incident of non-compliance.